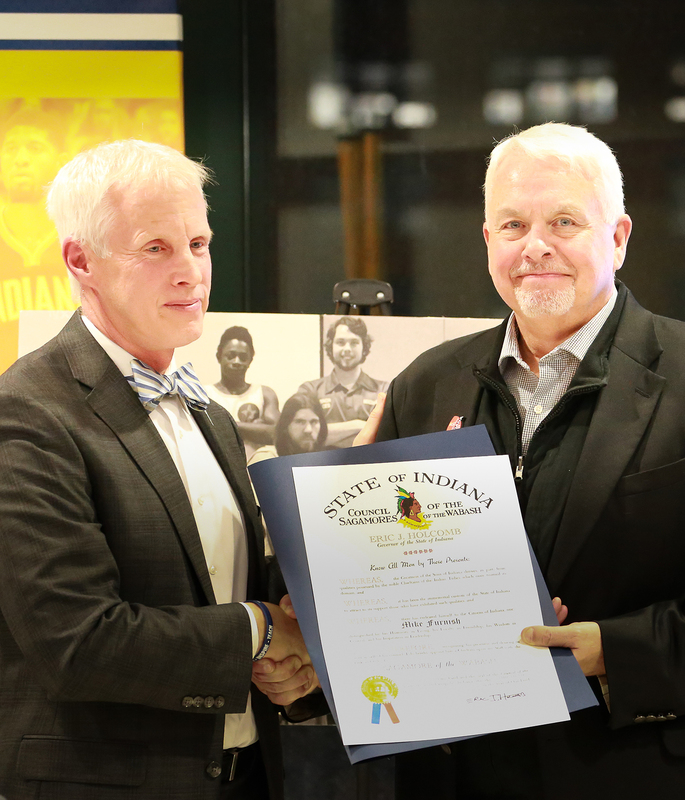 Furnish, who retired Jan. 15, was honored during a ceremony at Bankers Life Fieldhouse Tuesday and presented the award by Indiana Rep. Bob Behning. The award, which takes its name from the Algonquin word for a tribal chieftain and has long been considered the state’s highest distinction for distinguished service, was presented on behalf of Gov. Holcomb by Indiana Rep. Bob Behning during a ceremony at Bankers Life Fieldhouse. Furnish, who recently resigned his post following an 11-year term as the organization’s top executive, joined the Special Olympics Indiana staff in 1990 after first becoming involved as a volunteer and coach in 1973. During his tenure as CEO, the organization has served more than 40,000 individuals with intellectual disabilities and now maintains an annual participation rate of over 14,000. Other organizational accomplishments under his leadership include tremendous gains in the areas of financial stability and sustainability; the development of programs dedicated to unified sports and social inclusion in Indiana schools; and the establishment of initiatives addressing significant health disparities among people with intellectual disabilities.